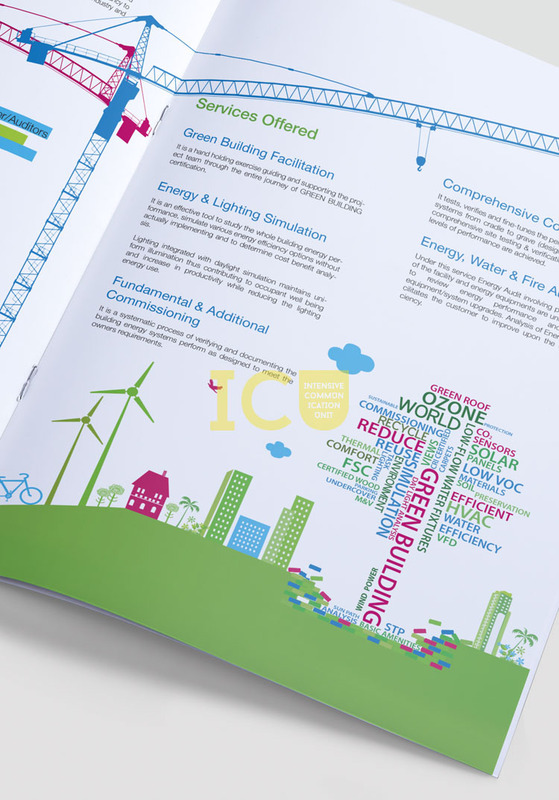 The brochure and advertisement for Green Building Consultancy Services, a part of Godrej and Boyce group, was rendered in a very informative style. 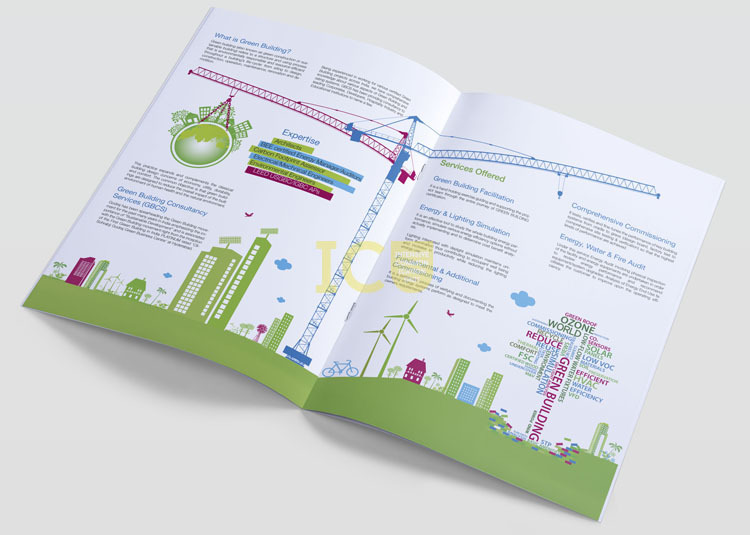 It brings out the essence of all the work through the graphical illustrations and design, and also gives vital information to potential investors. 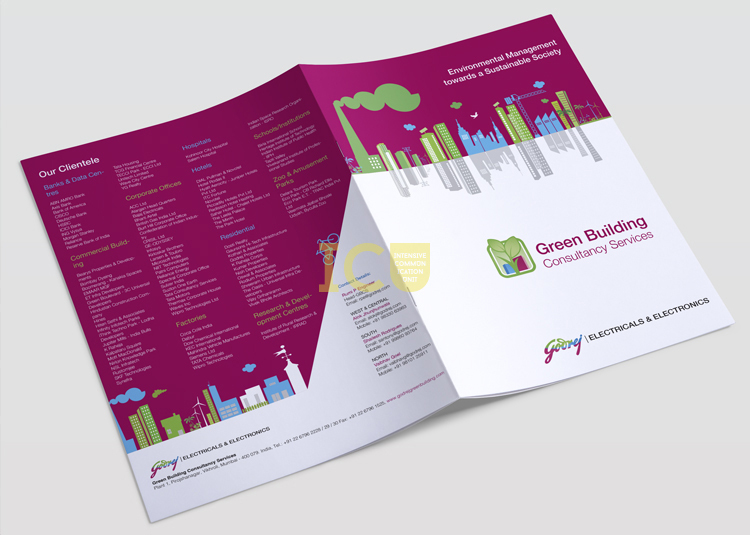 The design used Godrej brand colors and some very interesting graphics to showcase the Green Building Movement that Godrej had been spearheading.